So it turns out, although I did this layout almost 2 weeks ago- I totally forgot to post it!! So here it is lol. This is a picture of my gorgeous God daughter and I just mucking around one morning lol. We take great selfies lol. 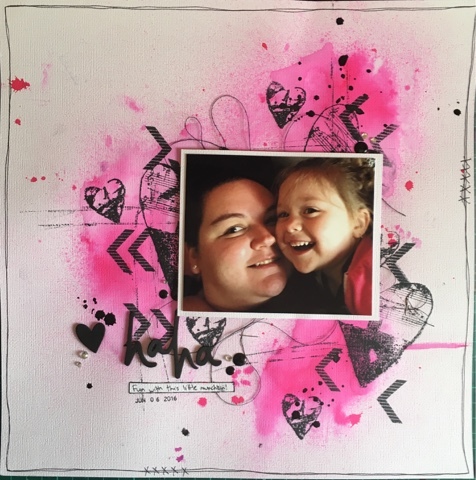 And the challenge at scrap the girls this month was a sketch challenge. So I decide to use mixed media, stamping, texture etc to follow the sketch. And I really do love how this one turned it. What do you think? Wow! i'm in love with your background, that's wonderful! Thanks to playing with us at Scrap The Girls!